Volkswagen has announced the 'Volksfest 2013', a 28-day carnival where the company's existing and prospective customers across India can avail a range of offers, benefits and assured gifts. In addition, prospective customers will also be able to experience Volkswagen cars of their choice at Volkswagen dealerships across the country. October being the festive season, the Volksfest is offering its customers deals on car finance, annual maintenance contracts, free insurance, extended warranty and free road-side-assistance for three years. Other offers include deals on Volkswagen genuine accessories, body and paint services and branded merchandise. 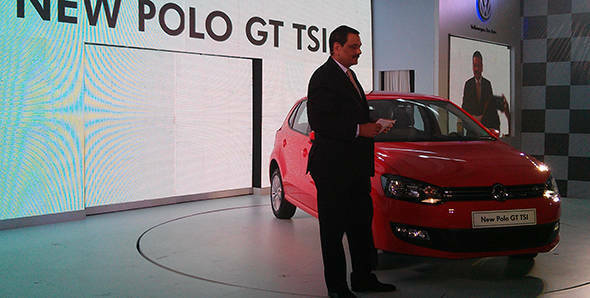 There is also an exchange bonus opportunity of Rs 10,000 and Rs 20,000 available for prospective customers on purchase of the Polo and Vento cars respectively. This offer can be availed through Das WeltAuto, Volkswagen's pre-owned car division. "On behalf of the entire Volkswagen family, I wish all our customers the continued joy of motoring and look forward to welcoming many more into the Volkswagen family during Volksfest 2013," said Arvind Saxena, MD, Volkswagen Passenger Cars, Volkswagen Group Sales India Private Limited. Volksfest 2013 commences from October 4, 2013 and will conclude on October 31, 2013.